Wildflowers are one of the many splendid delights of springtime. As you trek gloriously muddy hiking trails to gushing waterfalls, keep a look out for the region&apos;s beautiful blooms. The wildflower season is heralded by wild daffodils as they spring up alongside country roads and across farmers&apos; fields in the Willamette Valley. Cruise Junction City during the Daffodil Drive & Festival every March. Locals gather to celebrate this abundant yellow perennial by selling fresh cut daffodils, potted plants and bulbs and gooey cinnamon rolls with coffee served up in the local Grange. The wildflower season is best April through early June. In April, beautiful purple camas and pond lilies in the low wetland areas of the Willamette Valley start budding. Birding excursions at the Delta Ponds or West Eugene Wetlands promise flora as well as feathers. 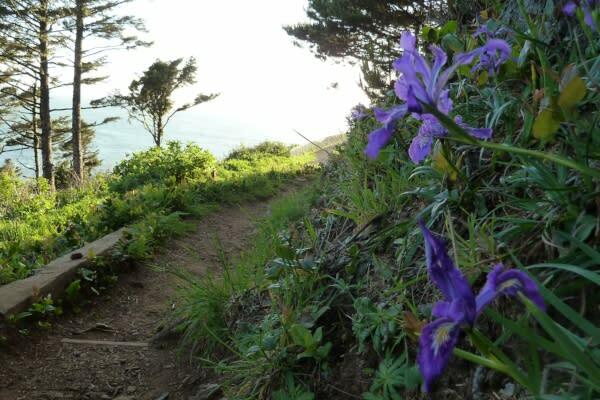 Another splash of purple is the wild iris concentrated around Wild Iris Ridge but found trail-side throughout the region. Some of the flowers you might see include coast fawn lilies, cut-leaved goldthread, flowering currant, Hartwig&apos;s wildginger, Indian plum, Oregon grape, Oregon fawn lilies, Oregon fetid adder&apos;s tongue, Oregon selaginella, Marshall&apos;s saxifrage, saucer bishops cap, spring gold, trillium, violets, western wood anemone and many more. 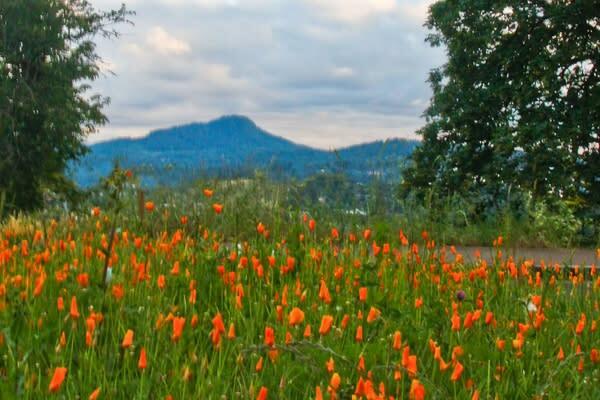 Wander through the wildflower meadows at the Mount Pisgah Arboretum and pick up a copy of their local plant list. Mount Pisgah is a natural destination for wildflower hunting. Hiking trails crisscross the two-hundred-acre park preserve from the banks of the Willamette River to the top of the mountain. In May, the arboretum hosts an annual Wildflower Festival with plant workshops, exhibits and wildflower walks. Make connections with local botanists. May is also the time for cherry blossoms in shades of white to deep pink. Visit the century-old black tartarian cherry tree in Eugene&apos;s Owen Memorial Rose Garden. 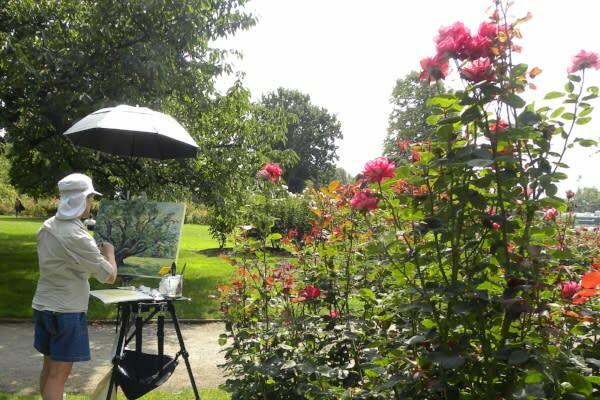 Over 4,000 roses burst into bloom in this riverside garden, peaking with glorious color in June. Not wild, but still a treasured sight for flower enthusiasts. And don&apos;t forget Oregon&apos;s native rhododendrons. 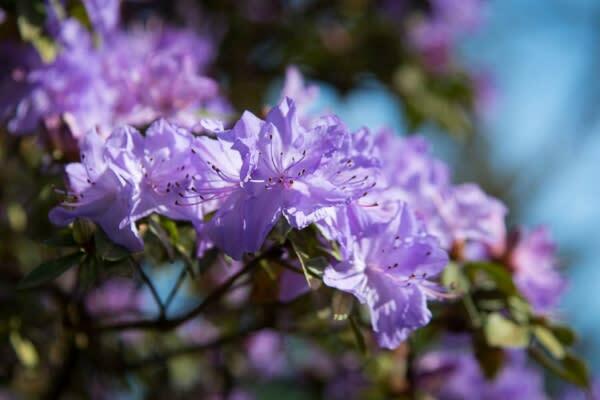 In Eugene, Hendricks Park&apos;s 80-acre woodlands includes a manicured rhododendron and native plant garden - just perfect for a springtime stroll. Inspired by the beauty? Visit one of the region&apos;s nurseries for your own garden planning. Since 1908, Florence has been celebrating every May with a spectacular Rhododendron Festival. A flower show and judging, floral-decked parade floats and the crowning of the Rhododendron Queen complete the springtime frolics. Spot beloved "rhodies" all along the Oregon Coast and in home gardens and parks throughout the region. 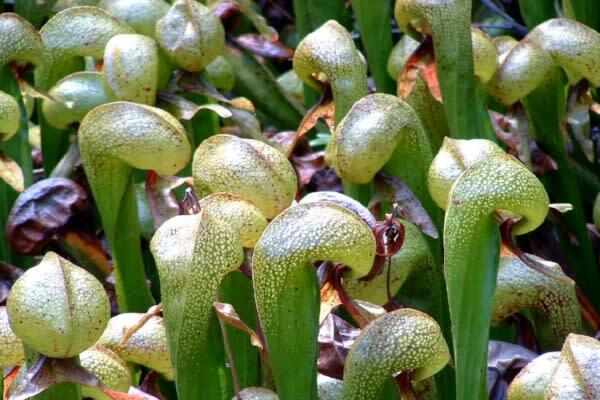 Rhododendrons aren&apos;t the only magnificent flower on the Oregon Coast - with the advent of spring, the Darlingtonia Californica, a red and green carnivorous bloom, sends up single, nodding flowers followed by larger pitchers to trap their pray. This fascinating flower can be viewed at Darlingtonia Wayside in Florence, a state park dedicated to this rare flora&apos;s preservation. And wildflower scouting isn&apos;t over yet! 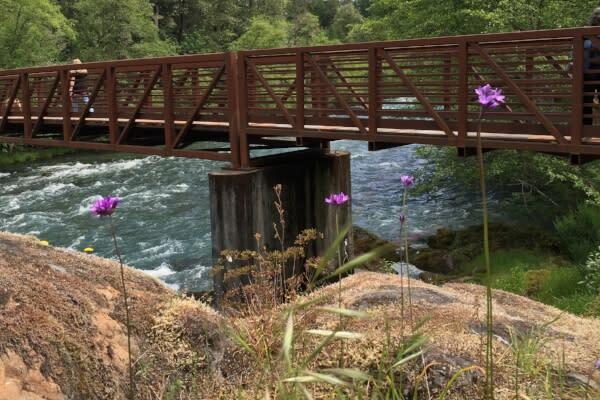 As spring eases into June, head into the Cascade Mountains for wildflowers and butterflies along Oakridge&apos;s mountain biking trails. Through late July, discover meadows of buttercups, tiger lilies, orchids, bunchberry, Oregon boxwood and groundsel. The higher elevations stretch the wildflower season out until late summer when the terrain starts to turn golden. Places to go include Tire Mountain, Patterson Mountain Meadow and Waldo Lake. Above Cottage Grove, explore Bohemia Mountain. 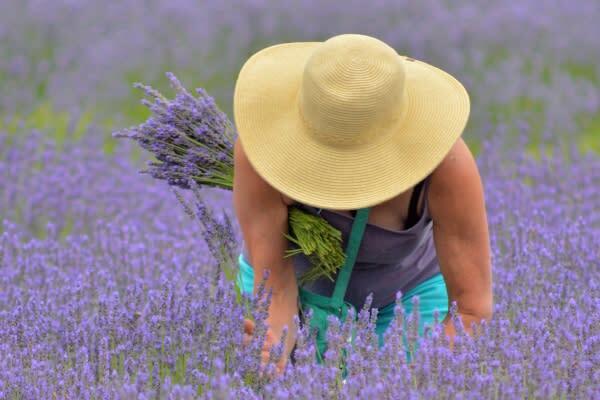 In June, visit the McKenzie River Lavender fields which hosts the annual McKenzie River Lavender Festival. The festival is a rich sensory experience where sweet smelling rows of deep purple buzz as lazy bumble bees gather pollen which will be next years local honey. Take home a piece of this late spring festival with a u-pick bundle of fresh lavender, hand-crafted skin care products or delicious local produce. For wildflowers, wander Horsepasture Mountain nearby. 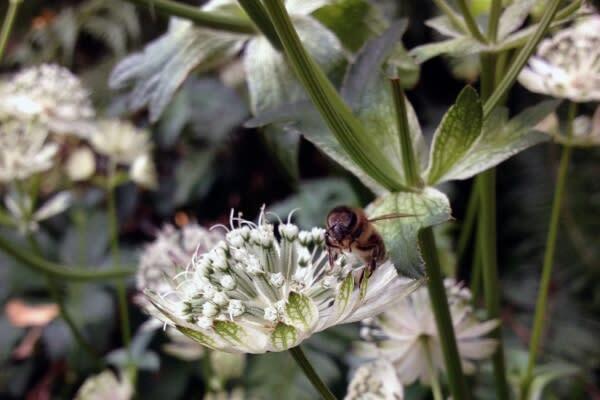 For detailed local information on wildflowers, connect with the Emerald Chapter of the Native Plant Society of Oregon. They maintain lists of rare plants and invasive plants. Please do not pick or disturb wildflowers, plants or animals.